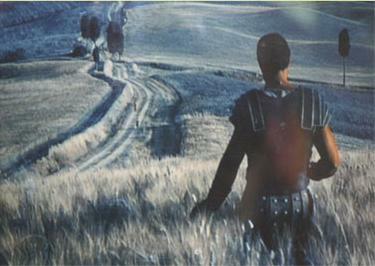 Val D’Orcia and the hamlets that are part of it are a heavenly place, and since the middle ages have inspired generations of artists and, more recently, famous film directors such as Ridley Scott who decided to shoot one of the most famous scenes from The Gladiator in the wheat fields between San Quirico D’Orcia and Pienza. 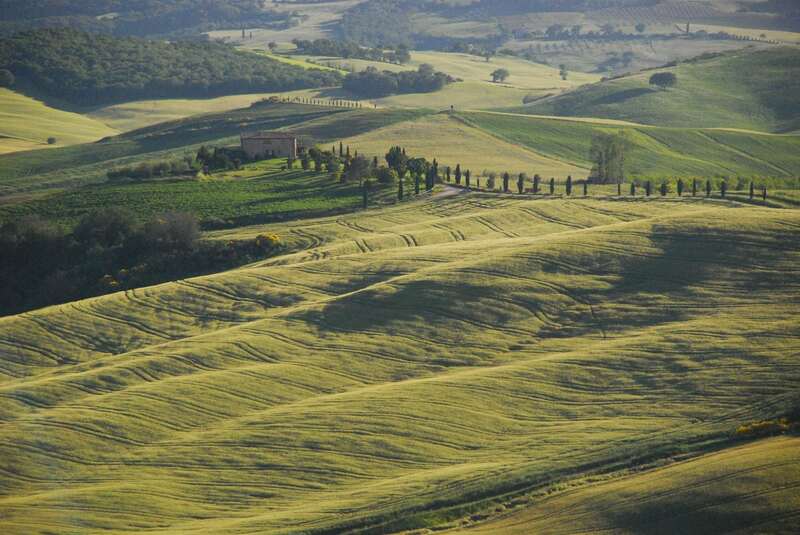 But Val D’Orcia is not only one of the most beautiful places in Tuscany, it is also the home of some of the most prestigious and reputed Italian wines, among which the famous Brunello di Montalcino. And this is exactly what this post is about: good food, excellent wine, breathtaking views. Nothing less than what you would expect from the Italian countryside! So let’s start our tour from the home of Brunello: Montalcino. 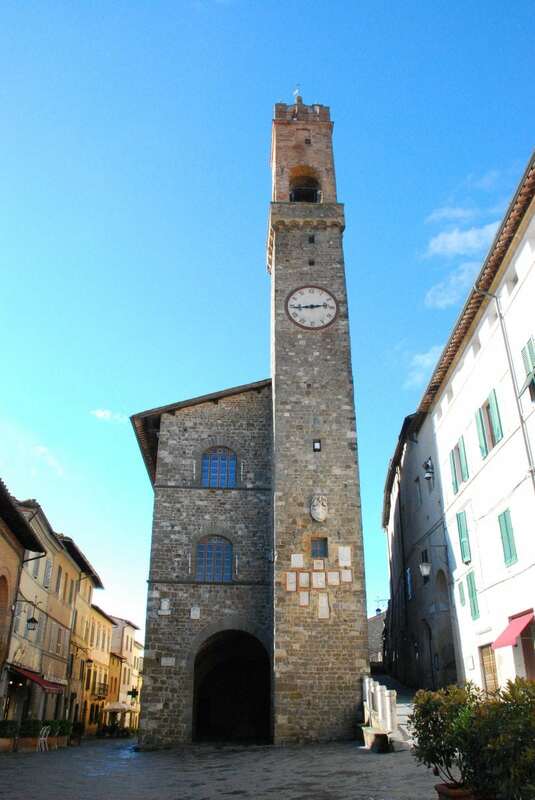 Montalcino is an extraordinary artistic and architectural testimony of the past, and you could spend hours wandering through its streets and lanes. 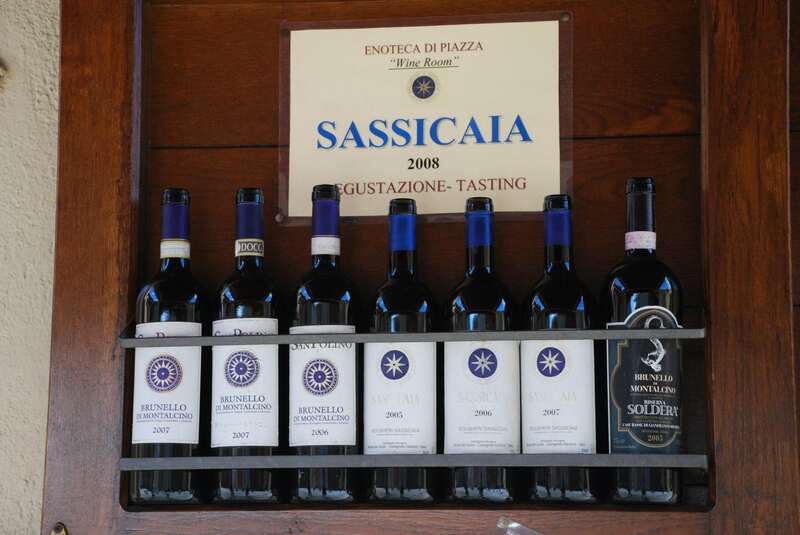 And, when you are done with history, then you can dedicate yourself to the other Must in Montalcino: wine tasting. 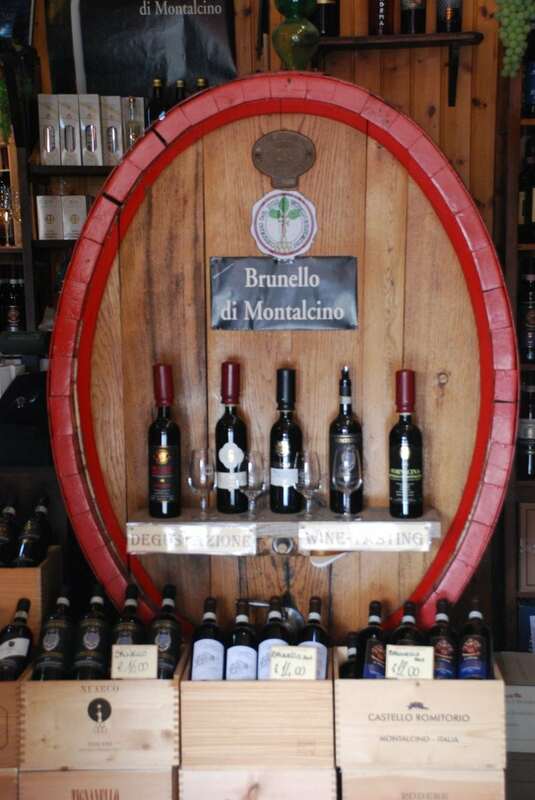 Thanks to its worldwide renowned Brunello, Montalcino has developed an astonishing wine tasting industry. You will find tens of wine bars spread around the old town, where you will be able to sip the wine of your choice, while a passionate sommelier explains to you the subtle differences between the harvests of the past 20 years. You will find one of the most famous Enoteca (“winehouse”) inside the 14th century fortress, and precisely in the donjon of San Martino. 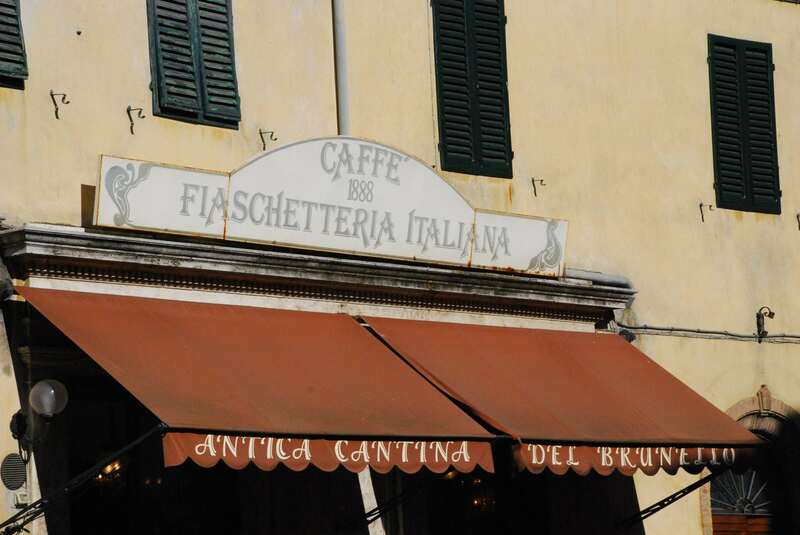 Just in front of the fortress, I suggest the Enoteca Franci, perfect to start your Tuscany Wine experience. They also have a pretty good restaurant! You will of course taste Brunello from different vineyards and harvests (focus on 2006 an 2007! ), but don’t neglect the Rosso di Montalcino. This too is a Sangiovese Grosso in purity, but produced to be drunk young (and, by the way, much less expensive than his more famous old brother Brunello). In your wine tasting pay attention not to miss the so called Super-Tuscans, such as Sassicaia or Tignanello, that in their quest for excellence have introduced revolutionary approaches in Tuscany wine making, such as the use of small French barriques, the introduction of international grape varieties such as Cabernet Sauvignon or Merlot and the lowering of yield per hectare. And if you feel you can still drive, get a map of the Associated Producers of Brunello from the tourist office (inside Plazzo dei Priori), choose your preferred ones and go visit their caves to discover the art of wine making. Guided visits are followed by a tasting, often teamed with a selection of cold meats, cheeses and other local specialties. All wineyards have something peculiar you will like, so it’s very difficult to make suggestions. I personally recommend the Fattoria La Magia, overlooking San Antimo Abbey, with a nice garden to sip your glass of Brunello. 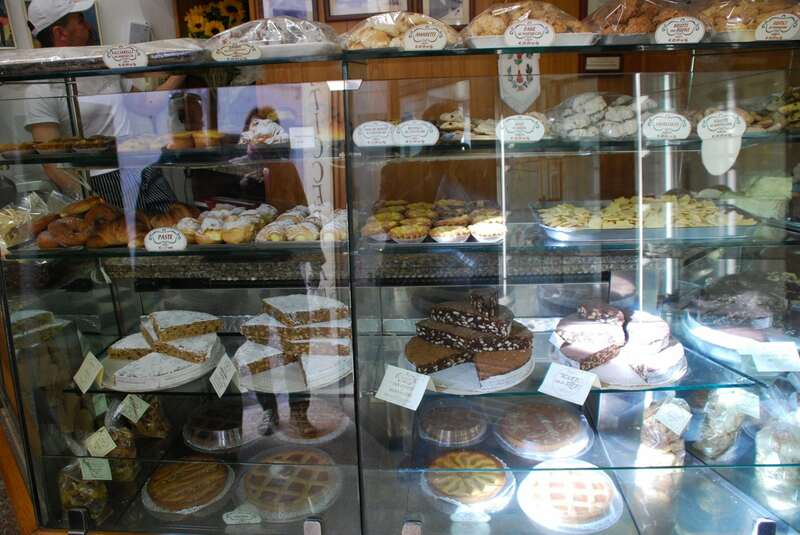 Coming back in Montalcino main street, don’t miss the Pasticceria Mariuccia, , close to the Palazzo dei Priori, where you will be able to taste delicious tuscany sweets such as Panforte, Panpepato and Ricciarelli. A couple of places to eat, both on the main street: Re di Macchia (small and very romantic) and taverna Il Grappolo Blu. 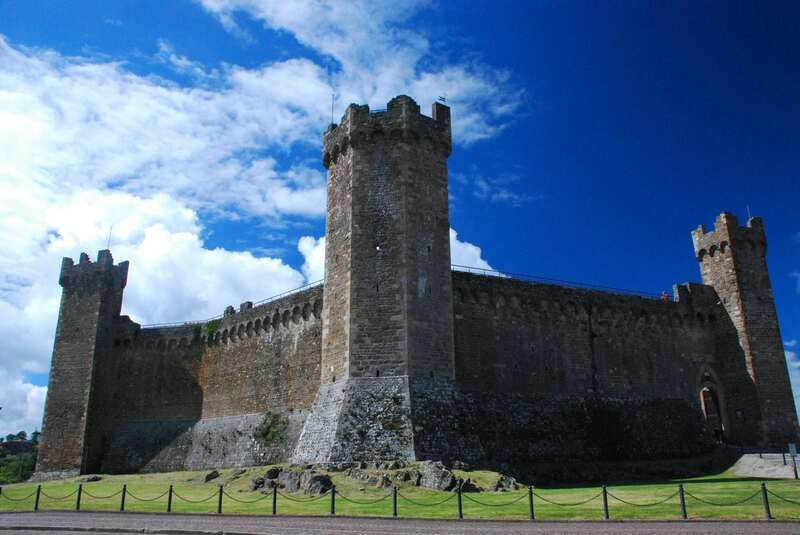 Enjoy your stay in Montalcino!